Through the entrance you enter a spacious hall with access to the study at the front and the living room with fireplace at the rear. 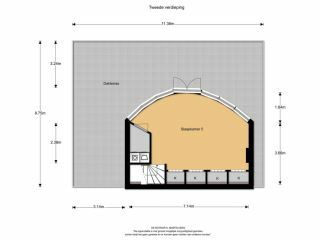 From the hall is also the wonderful provision cellar of approximately 9 m� accessible. 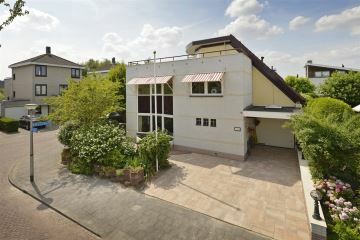 The attached garage is accessible from the inside. 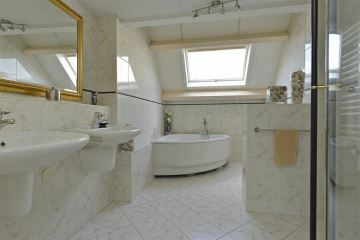 The spacious toilet room is equipped with a wall closet, urinal and a fountain. 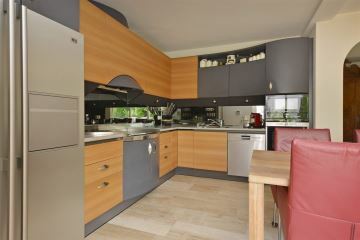 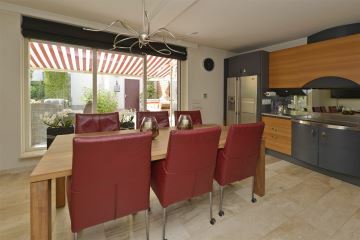 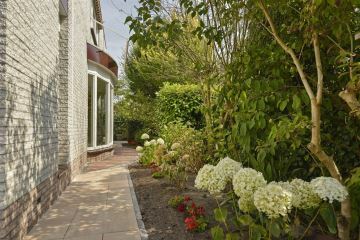 The kitchen is located on the garden side of the house is equipped with outside sun protection, a ceramic hob, oven, extractor hood, microwave, dishwasher and American fridge/freezer. 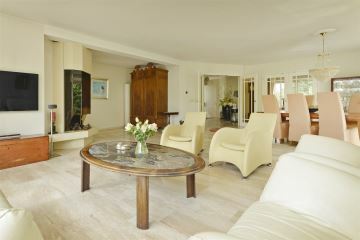 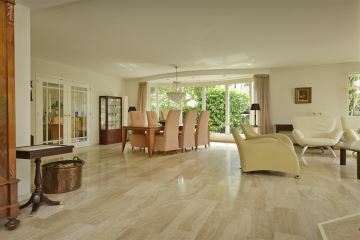 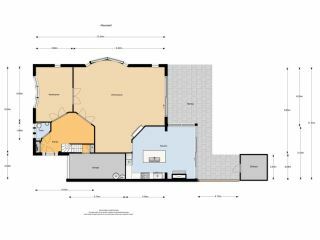 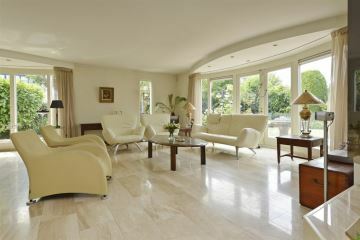 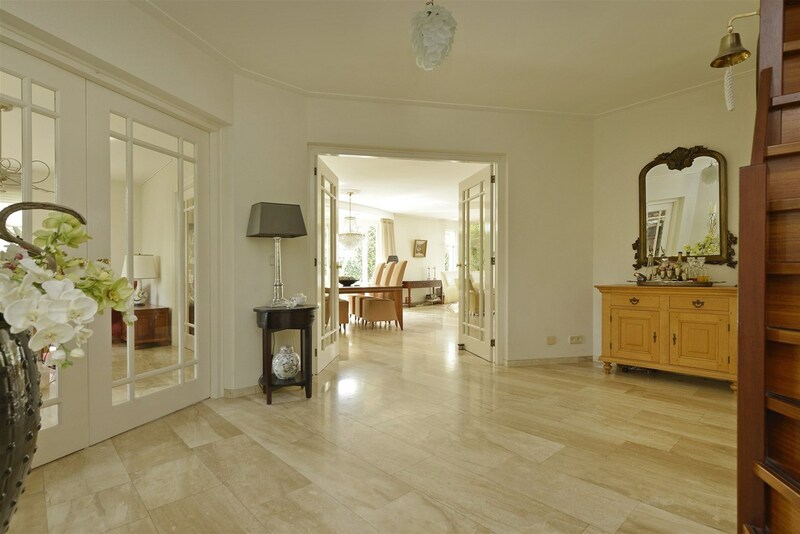 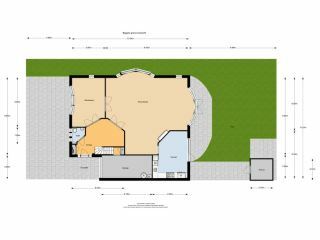 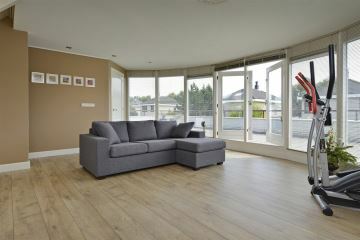 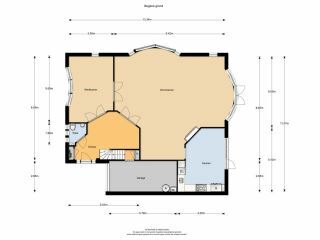 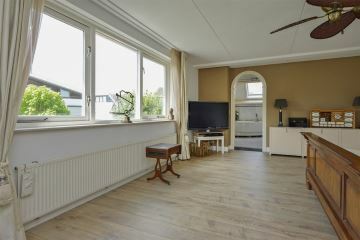 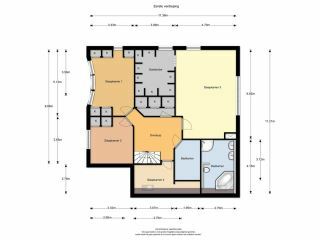 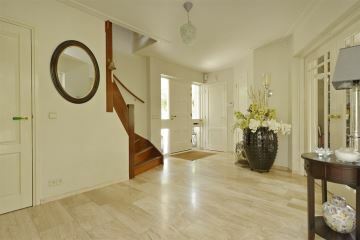 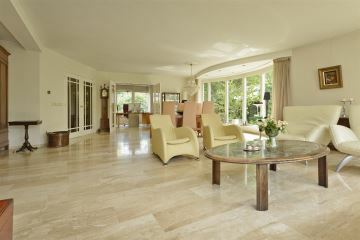 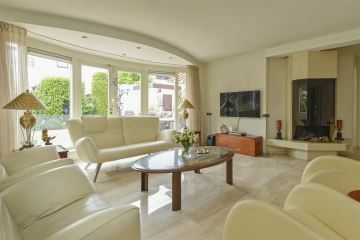 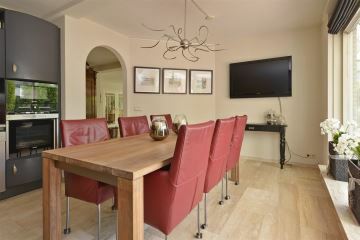 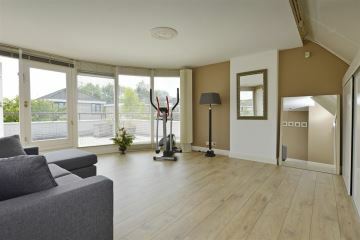 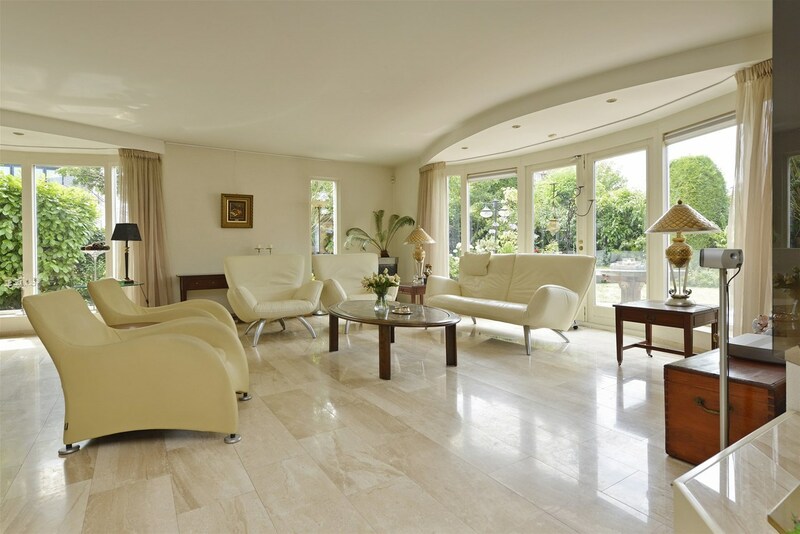 The entire ground floor has a natural stone floor with underfloor heating. 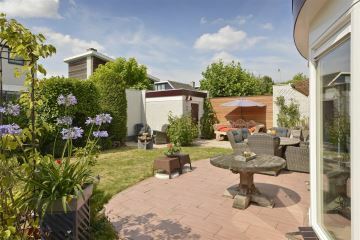 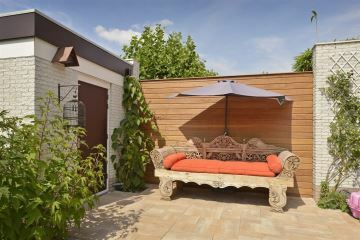 The lovely backyard is facing south/west and offers plenty of opportunities to sit in the sun. 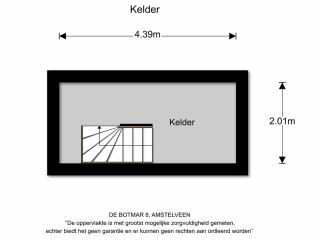 In the garden is a separate stone and completely isolated storage room. 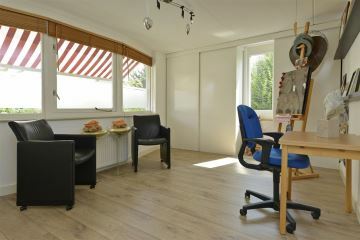 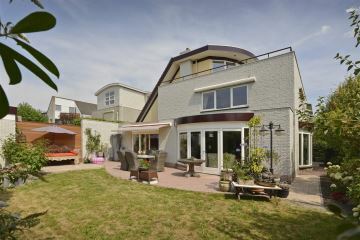 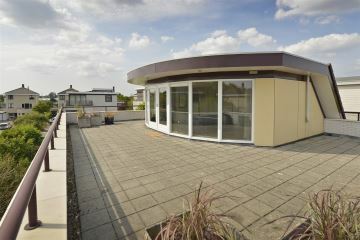 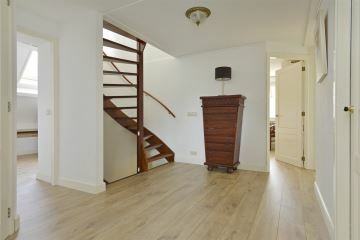 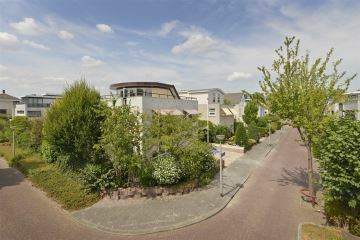 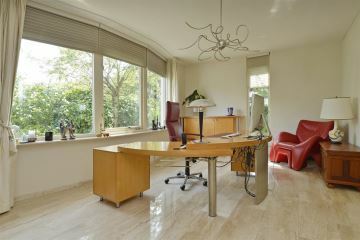 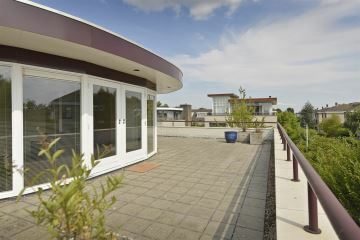 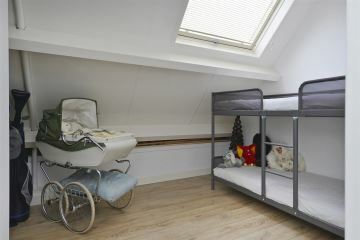 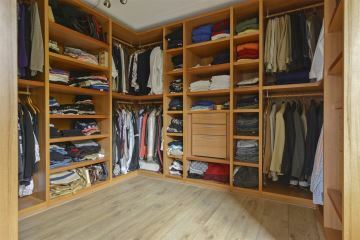 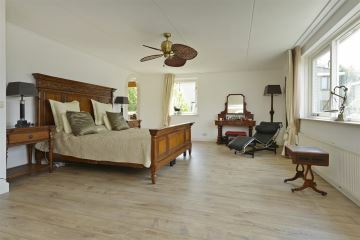 Second floor: through the hall you enter a beautiful bright room with a roof terrace of approximately 60 m�.